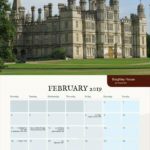 The Anne Boleyn Files Tudor Calendar 2019 is available now! 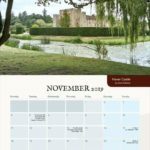 Enjoy the winning photos from our annual Anne Boleyn Files calendar competition in the stunning 2019 wall calendar which is available now. 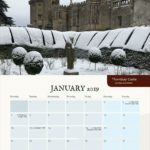 This unique calendar contains beautiful full-colour photos of Thornbury Castle and its grounds, Burghley House, Little Moreton Hall, Ewhurst Place, Hampton Court Palace, Layer Marney Tower, Acton Court, Dorney Court, Carew Castle and Hever Castle, all taken by Anne Boleyn Files followers. 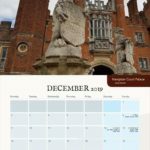 The calendar also has information about the births, deaths and important battles that took place during the Tudor period. 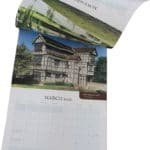 This high-quality wall calendar measures 297mm (12¾ inches) by 420mm (16½ inches), it is spiral bound at the top and is printed on thick 100# stock paper. Full colour throughout. 1 full page per month. 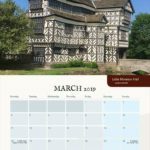 As well as enjoying this calendar yourself, why not get one for your Tudor-loving friends too? 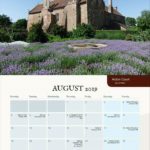 The calendar costs $9.00/€7.99/£7.20 and can be shipped worldwide. 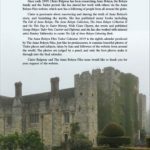 It is shipped directly from the Anne Boleyn Files base in Spain. Shipping to the UK is £5.80, within Europe is €6.50, and to the US and Rest of the World is $11.99. 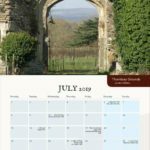 Each additional calendar ordered (to the same address) only adds $2/£2.00/€2 additional shipping for every calendar ordered. 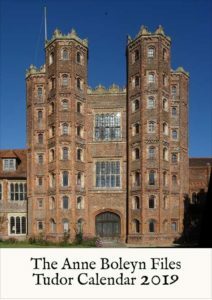 Congratulations to Susan Stephen who is the overall winner with her gorgeous photo of Layer Marney Tower. She wins a $50 Amazon gift certificate (or equivalent). The runner-up prize of a $25 Amazon gift certificate goes to JoAnn DellaNeva for her lovely photo of Dorney Court. 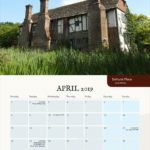 Congratulations also to Cheryl, Thomas, Alison, Ian, Kristen, Lori, Ceri, Jemma, Ian and James for their photos, they will each receive a copy of the calendar. Thank you also to all those who entered, the panel of judges had such a hard time choosing! 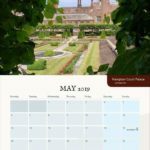 Here is a video of Claire showing the calendar ‘in the flesh’! 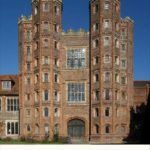 « Can I answer your questions on Anne Boleyn and the Boleyns? I’ve purchased this calendar the last two years and will for 2019 also. Very high quality printing and wort every penny. So how do I order this calendar? I click on add to cart and nothing happens? I’m sorry that you’re having problems ordering. I’ve just checked all three Add to Cart buttons and they’re working. When you press “Add to Cart”, it opens up a new window (Paypal’s website) so do you have a setting on your device that prevents new windows opening? What device and browser are you using? 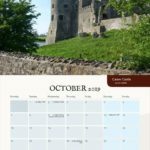 Congratulations to the winners I didn’t get anywhere but never mind, the photos are gorgeous and il be ordering my calender I always have one in my kitchen, this year’s going so fast soon it will be Halloween. I was touting the virtues of the previous calendars. After watching Claire’s presentation of the new one I see it is even more spectacular. Thank you, Michael, for your kind words. I’m really happy with how this one has turned out, such gorgeous photos from ABF followers. 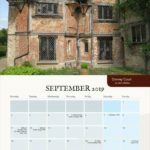 I have just ordered both the Anne Boleyn Files 2019 TUDOR calendar AND the Tudor Society 2019 calendar .. the photos on the Anne Boleyn calendar look lush .. the sketches by Anthony Hillman on the Tudor Society calendar are first class .. 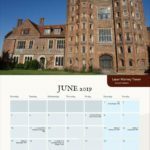 I am excited to say I was finally able to order the Anne Boleyn Files Tudor calendar! I did not get anywhere using my Ipad or I phone. Internet explorer was the key! I am looking forward to seeing it! Congrats to the winners. Mine will hang proudly in my office at work. I’m so happy that you managed to order it and I hope you enjoy it. I just ordered the calendar. So easy and am really looking forward to getting it. Thank you! It’s just been posted! I just received the calendar in the mail today. It is beautiful. I love the change that it flips at the top and not in the middle as in the past. 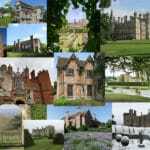 Thank you Claire, Tim and all whose wonderful photos are included. Desperately tried to place an order. Got all the way through process 3 times & 3 times at the end it said Error operator cannot process strings??? My paypal has been charged for shipping but the order is missing somewhere. I’m so sorry you encountered problems ordering from our shop. I have emailed you to get this sorted out as quickly as possible, but I can see in Paypal that there is no charge for shipping, just for your calendar and the shipping of that. 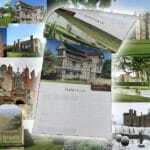 The calendar orders are done separately, not via our shop, so use a different process and different shipping. I’ve just ordered this, I love t! However, the order just went to paypal, without any confirmation or address selected. It said paid, so I hope it comes Ok. Many thanks. All looks fine, so no problem. Congratulations to all who took the lovely pictures. I was wondering if you would by chance be selling this again? I just saw this and was bummed that I missed it. Any chance for a restock?